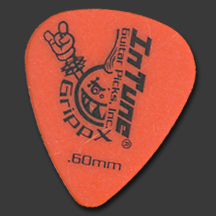 At InTune Guitar Picks, Inc., we manufacture guitar picks in a variety of materials, shapes, thicknesses and colors. 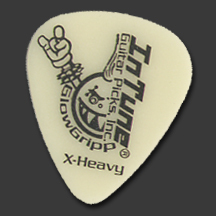 We specialize in custom guitar picks and personalized guitar picks. Our customizing is a great way to promote your band or business and make great wedding or party favors in single color or full color printing. 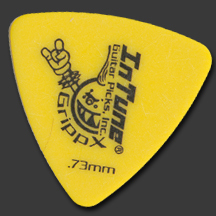 The uses for custom guitar picks are endless. 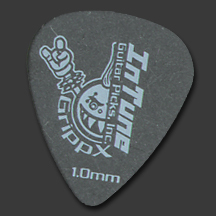 From business cards to jewelry to playing guitar, custom guitar picks are an affordable way to market your brand. 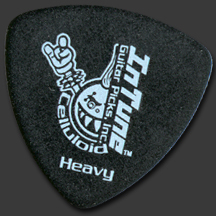 With no artwork or setup fees and 100 guitar picks starting at $35.00, everyone can have personalized guitar picks. Custom guitar pick tins are also available and make a great merch item. If you have any questions about our products, just ask. 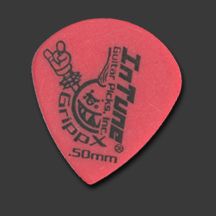 Use what the pros use, InTuneGP, USA. 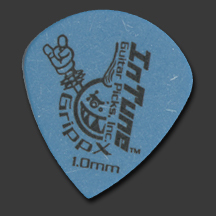 Why Choose InTune Guitar Picks, Inc.? 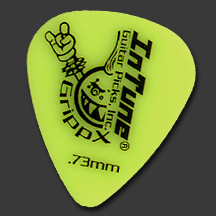 InTune Guitar Picks, Inc. is here for every level of guitar player. We are fortunate to work with some of the most respected artists in the industry, but we are just as proud of supplying the young artist who wants to feel like a rock star with their very own custom guitar picks. We strive to offer a superior product, backed by exceptional customer service, at an affordable price. 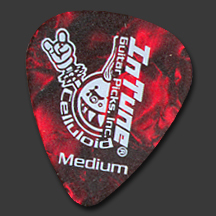 It's important to know that if you see your favorite artist using our custom guitar picks, that exact same custom guitar pick is available to you with your very own custom design. 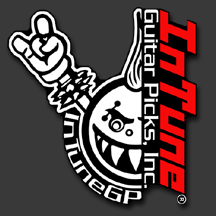 At InTuneGP, every customer gets treated like a rock star. 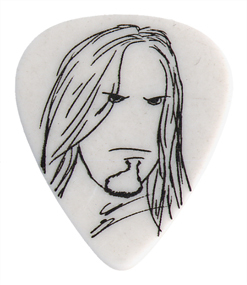 Every guitar player should have custom guitar picks!